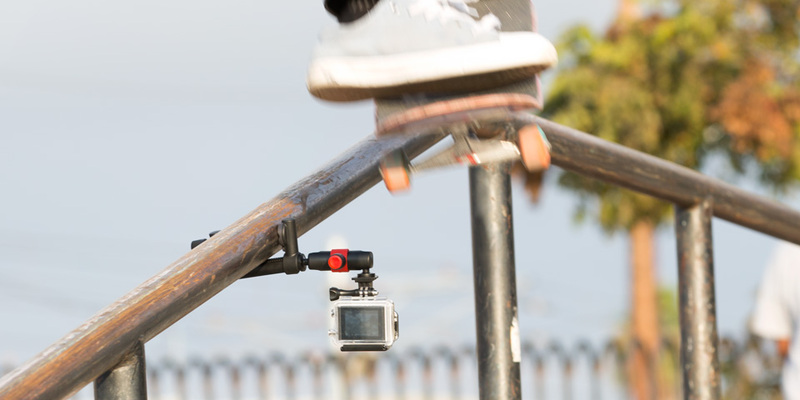 A lightweight action camera tool which quickly adjusts size and securely clamps to surfaces. The glass fill nylon we chose is incredibly durable for its weight. The clamp has a standard camera nut on both ends; the beginning of JOBY’s new modular product ecosystem. We saw that action cam users were interested in building their own rigs and did not like being confined by using only their specific camera brands proprietary mounts.